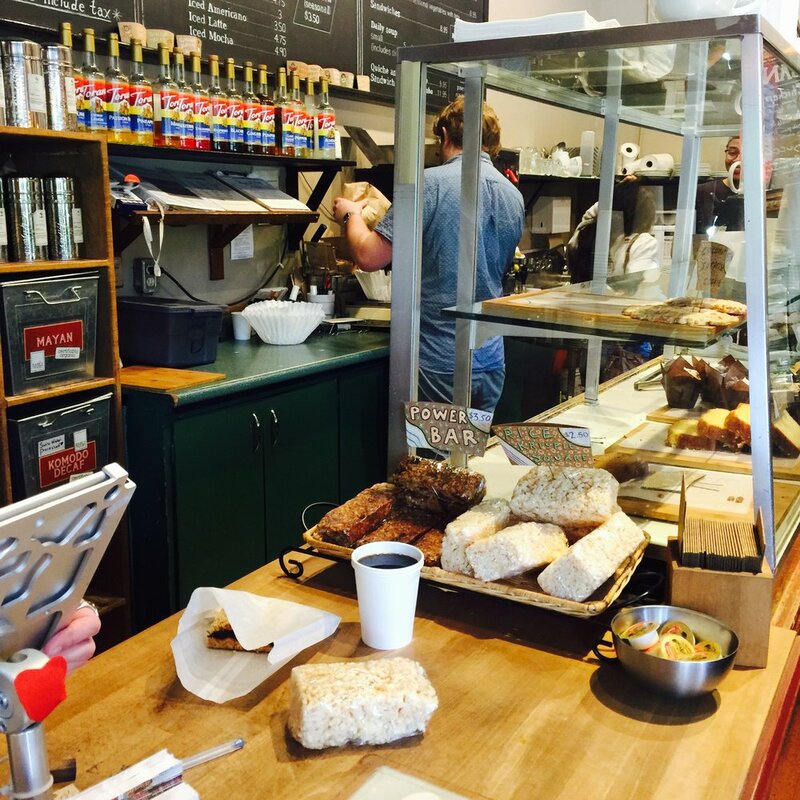 Arbutus Cafe in Kits is a hidden gem tucked away a couple blocks off of busy West 4th. 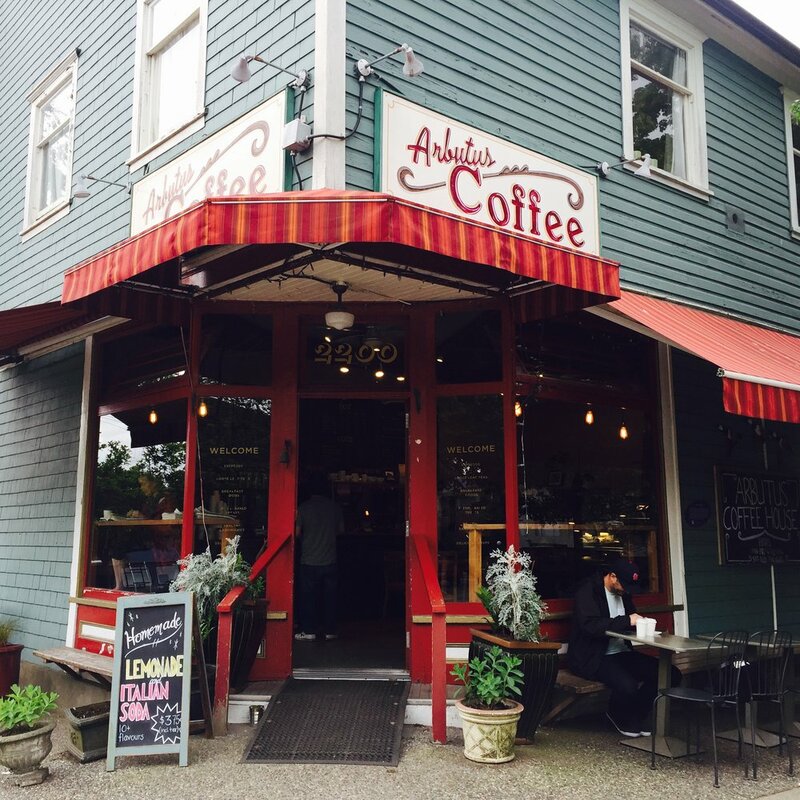 The local, community vibe and sweet treats made in-house all make this a cozy spot one of our favs. The gorgeous view of the Kits community garden across the street make it really easy to chill here for a couple hours sipping coffee and people watching. Address: 2200 Arbutus Avenue, Vancouver. For more info and their full menu check out their website. The Arbutus Grocery has existed, here at the corner of 6th and Arbutus Street, in one form or another since 1907. From its beginnings as a sundries store to it’s evolution as a neighbourhood coffeehouse, little has changed with the look of the building. Listed as a Class A Heritage Building by the Vancouver Heritage Register, the location has long been locally renown and treasured. In 2002, the coffee shop opened in its existing incarnation intent on being a comfortable, easygoing addition to the neighbourhood – a casual place with great coffee, great baking and most importantly, an ambient atmosphere to tie it all together.